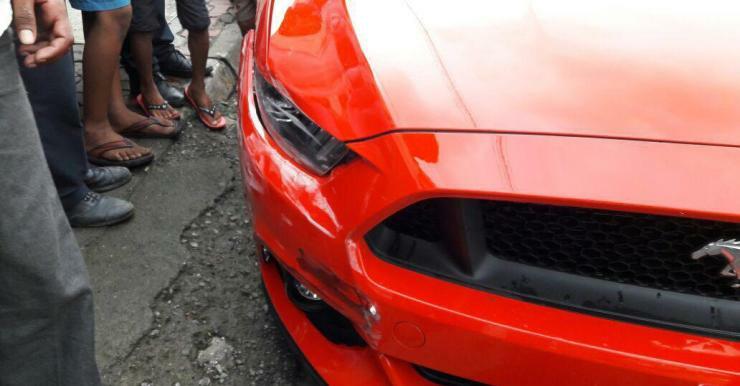 Barely a day after the iconic Ford Mustang was launched here, someone already put the car into a minor accident. Well, the Red Mustang involved in the accident is said to be a dealership/demo vehicle. The incident happened in Mumbai, one of the two cities (the other one is Delhi) that the Mustang will initially sell in. Perhaps someone just got a little too enthusiastic with all that American horses under the hood, either during a test drive or while transporting the car. Luckily for the driver, the damage is minimal with only the front fender and the bumper taking the impact. 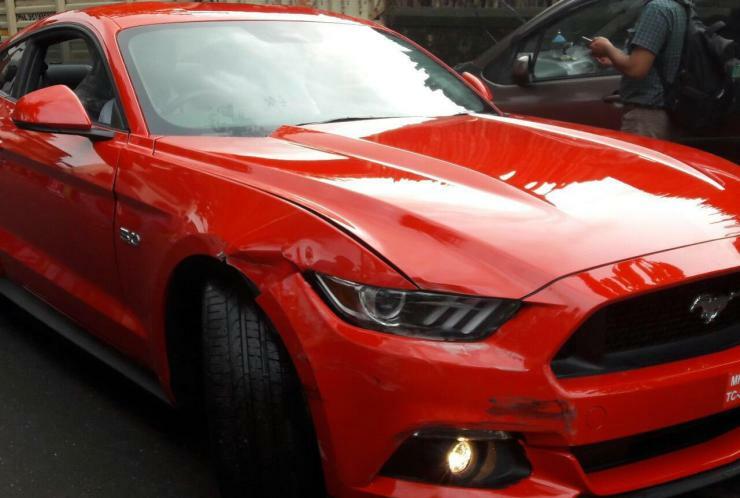 And we’re glad that the first Mustang to be crashed in India is still road worthy. It’s easy to be carried away with 400 Bhp under the hood. And then there’s the sheer aura of being seen in what is one of the greatest icons of the automotive world. So, while test driving any new car, powerful or otherwise, do remember these driving tips. They could come in very handy. Before setting off, familiarize yourself with the car. Know where the controls are, and how they work. Also, finding an ideal driving position is very important as this if often the “make-or-break” factor when it comes to an emergency maneuver. Once you’re belted up, and ready to go, Take-it-Easy. Well, almost every car has a learning cycle for the driver and this cycle lasts for just a few hundred meters in case of some cars while for others it could take tens of kilometers. So, the best thing to do while test driving an unfamiliar car is to take it easy. A low speed incident generally means lesser damage. Don’t try funny antics on public roads. Getting a feel of rapid acceleration is fine on an empty stretch of tarmac is OK but driving in race mode all the time isn’t. Drifting/crazy overtaking maneuvers/rash driving/etc are recipes for disaster, especially in a car that you’re driving for the first ever time.